Humor in the Workplace | Donald Altman M.D. Serious Work and Comic Relief – Is There a Perfect Balance? Our patients depend on our ability to perform on task with near precision and total accuracy. Humor, administered in proper doses and in the appropriate moment(s) can serve to comfort patients, build rapport and trust. Competency in one’s profession should not be to exclusion of enjoyment and at times lightheartedness. 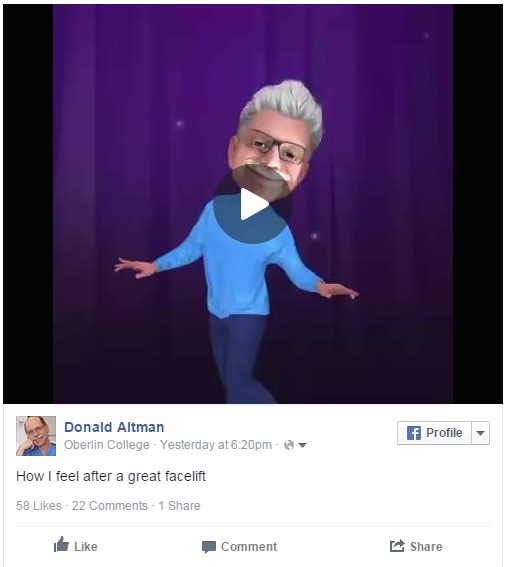 I enjoyed reading the positive comments from my patients who viewed this video on Facebook last week. I am grateful for the privilege to have been a part of their care. At times I wonder if humor might blur the line between professionalism and friendship. Humor has always been my favorite communication tool. And now, without further ado, let me introduce you to a doctor who is truly light on his feet!